The Writing Bomb: Wanted: Two Indie Authors Who Want to Become Bestsellers. Wanted: Two Indie Authors Who Want to Become Bestsellers. If you're an independent author, and published on Amazon, I want to Talk to you. 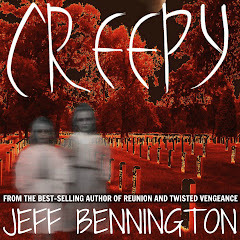 I am going to experiment with two authors who've published no more than three titles, received rave reviews, but are still having trouble selling. 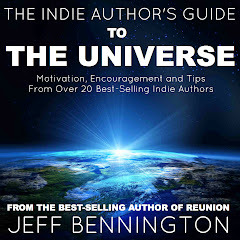 If you fit that description, I want to teach you the principles in my forthcoming book, The Indie Author's Guide to the Universe, and help turn your ship around. The book has 229 pages of motivation, encouragement, marketing, pricing, platform building strategies, and advice from over 20 bestselling independent authors like Blake Crouch, Scott Nicholson, Robert Bidinotto, Bob Mayer, Joanna Penn, and more. The principles I use in this book have helped me and a few other authors rise to Amazon's top 100 and I think they can help you, too. I'm accepting two motivated authors who have published a book on Amazon in the last three to six months, and have ten to twenty reviews with no less than a 4-star rating. I will choose the authors with the highest ratings. A free book cover makeover if needed. 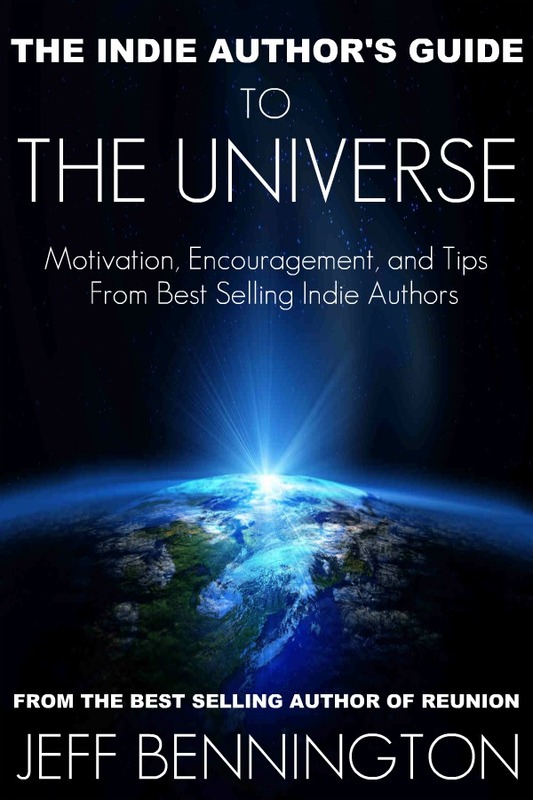 A free copy of my book, The Indie Author's Guide to the Universe. A free over the phone training session after the participant reads the book. Coaching through my marketing and pricing strategy. We will enroll your book into KDP Select (if not already a member) and schedule a two to three day promotion that will utilize all of my marketing strategies. 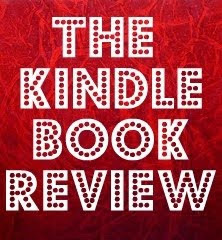 I will give you a free "Twitterlicious" promotion through The Kindle Book Review, and participating book sites like digitalbooktoday.com, worldliterarycafe.com and pixel of ink. I will take you through the same steps I suggest to get your book as close as possible to Amazon's Top 100. Agree to the above terms. Follow ALL of my instructions to the "T". Blog about your experience, journaling every step you take on your path to becoming a bestseller. Link to my book when writing your blog posts. Invest in one paid promotion ($139 to Kindle Nation Daily). Write about the success of this experiment on your blog. If this sounds like something you'd like to try, simply comment below. Leave your name, book title and link to your Amazon page. I am that confident that if your book is excellent, we can overcome the other obstacles and make you a bestseller. May the best author win!!! Please share and tweet about this. And be sure to follow The Writing Bomb blog if you haven't already. How much is the one paid promotion? Jennifer, $139. I will cover about $200 in other expenses,so I don't think that is asking too much. I highly recommend practicing what I call marketing "layering" and the $139 promo will add the final spin in reaching the top - fingers crossed. Interesting proposition - and a bold offer! Plus full details on my website, which I think you can access by clicking on my name above. If there is still room, I'm in. Kirkus MacGowan here. Name of my book is The Fall of Billy Hitchings. Below is the link to its Amazon sales page. I'm really interested in having your help for my book. 'My Cheeky Angel' is on Amazon and at the moment has 9 reviews - 5-5stars and 4-4stars. I can gather a few more if you feel it's important for this promorion. http://amzn.to/yVNVIo (this is my page of all my books including Cheeky Angel)I am agreeable to all your terms and will work hard to help the process in any way I can. I recently removed the book from Smashwords and in a few more days it should be ready to go into the Select program. And blogging isn't a problem - we're fellow members on Triberr and so I have a rather large reach with my blog. Did I mention I follow instructions real-llly well??? I would love your help. The title of my book is Familiar Origins. I also have a Facebook group with a small following. I don't fit the category, since I've published more than one book, but I'll keep a look out for similar offers you might make in the future. Sounds like whoever you choose will hit it lucky! I had trouble with my computer--and just solved it. Consequently my reply comes to you a bit later. My apologies. Anyway, my novel, THE BEAUTIFUL EVIL, a new genre of the psychological thriller, has had only rave reviews (by people I didn't ask to review my book lol)It has a knock out cover and I believe in it, %100. I would love to partcipate in your experiment. I am motivated,a go-getter and would hol;d up my end of the deal. You can check me out at http://bit.ly/wVlX7x. I have been following your blog for quite a while had have told you more than once to keep up the good work. (I tweeted that today, before I got the email from you! Cool, huh? Anyway, please keep me in mind. I have over 650 facebook fans and 3600 twitter fans. PS Please excuse typos in above comment! Whoops! This is an impressive offer. I don't qualify, but I will be watching for the successful outcome of the two authors you pick. Your generosity is to be commended. Thank you, everyone for applying! I'll be watching all weekend and checking in to see who's got the guts to do this. Congrats to all of you on your excellent reviews. And just to clarify, you DO NOT have to ONLY have one book; two or three is okay. I'm looking specifically for authors who have excellent skills, but are simply having trouble selling. 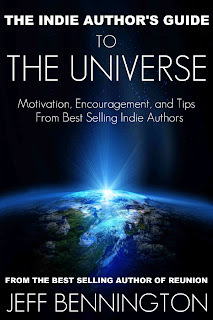 Obviously the point is, I think a quality writer has a chance at the top if he or she hits all the key elements I suggest and follow a few simple marketing and pricing techniques that I discuss in my book, The Indie Author's Guide to the Universe. And yes, I'm already getting tired of typing that title…it's too long… and yet so effective. I'm interested in participating. My book was released in January and so far has only 1 five star rating, so I probably don't fit in with you requirements, but would still love to be considered. Book is Gateways, by Jessica Schaub. I'm enrolled in the KDP program and have had some success there. This is a geat idea and offer! Best of luck to the authors you choose! http://www.amazon.com/Gateways-ebook/dp/B006XU7PPY/ref=sr_1_1?ie=UTF8&qid=1328962720&sr=8-1. Here is my link. What a generous offer! My book, "Be Still, My Love" (a paranormal mystery) has 17 5-star reviews. It was published on the 13th of December 2011 (I consider 13 to be a lucky number so planned it out that way!) 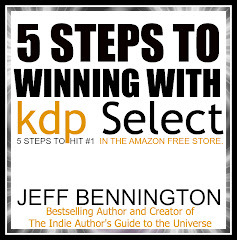 I am in the KDP Select program already. Here is the link to my book: http://amzn.com/B006LXOZHO. I'm getting lots of great reader comments on Facebook, Twitter and email but I can't seem to keep any momentum up that I manage to get going (it was free for three days when I first joined KDP Select). I had 1,700 downloads in that three days and I've sold a couple hundred copies. Obviously I need to do some major marketing! Your book sounds great!! Hi, everyone. Thanks for being patient with me. I had a busy weekend. Anyway, I'm posting the winners on Valentines day with my next post.